Now I’m officially interested in the Royal Wedding – the Champagne has been announced and it’s good news bad news. 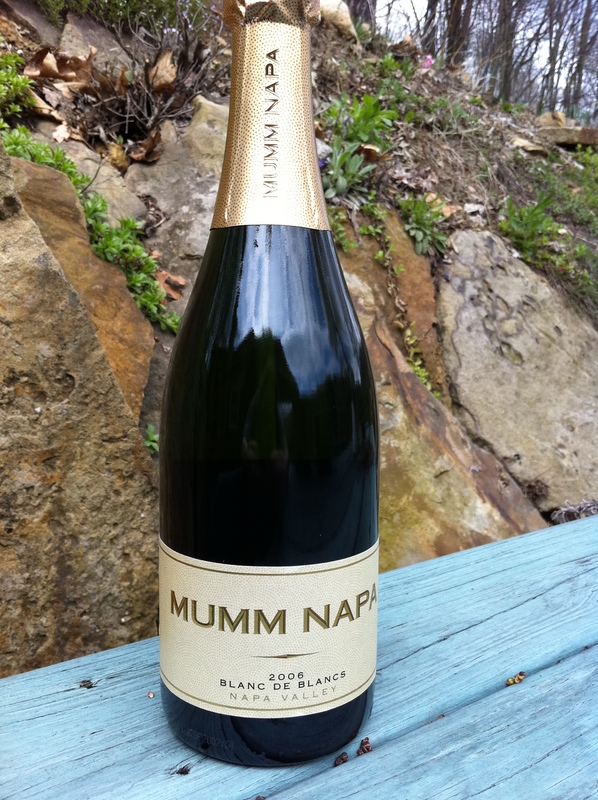 Good news that the Champagne is available to me in Ontario for $60 a bottle. However, I’m so disappointed in the Royals. The Champagne is a Non-Vintage Pol Roger. Come on royal family! Put on some snobbery for the rest of us. If we’re like you and you’re like us then where’s the fun in that. To paraphrase her majesty Queen Elizabeth II, “I am not amused”. TORONTO, On. – Bollinger has been the champagne of choice for royals since 1884, but guests to Prince William and Catherine’s wedding will enjoy non-vintage Pol Roger, Decanter magazine reported. 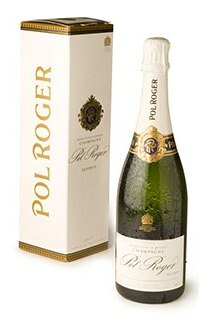 The champagne of choice is being considered a shocker in the British drinking establishment; however, the good news for Canadians is it’s something readily available at LCBO stores throughout the country.Pol Roger, a very recognizable and reputable brand, deviates from past royal protocol and also deviates financially – showing a slight attempt by the royals to cut down on excess in a time of extreme recession in Britain. “It might have been a decision where they went with a non-vintage champagne to show they’re not as pretentious as a lot of people think and our attitude is that it’s something the average consumer can go to the LCBO and buy. So, on that end it’s great because it’s not often you have the opportunity to do that,” said Chris Churchill, owner of Toronto’s Churchill Cellars, which imports the drink to Ontario and Atlantic Canada. At less than $60 a bottle, it’s much cheaper than what was served during Prince Charles and Diana’s wedding reception, where 1973 Vintage Bollinger was the drink of choice. Although, the current economic climate in the UK does not allow for a bar bill similar to what Charles rang up in 1981, where over 1500 bottles were served to 2500 guests – $100,000 in champagne costs alone. Vintage Champagne is created in the best vintages, making it’s less available and more expensive, as a opposed to non-vintages. “It’s a good opportunity for everyday people to go out and celebrate in the royal style,” said Churchill. I plan to vacation in Reims, the biggest city in the province of Champagne, someday and then travel south. My only concern is that I might stick around the Champagne region drinking bubbly the entire time – that would completely ruin my plans. 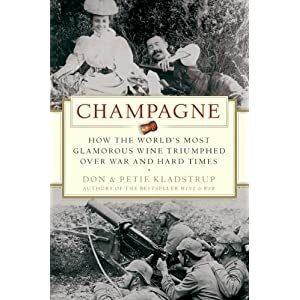 I just finished reading a book, Champagne: How the World’s Most Glamorous Wine Triumphed Over War and Hard Times, by Don and Petie Kladstup. Imagine what life has been like for les Champenoise – the people who live smack in between Paris and Germany. From 1870 until the end of WWII three wars were fought on the soil of Champagne. At the end of WWII in 1945 the population of France was actually lower than it was in 1800! Incredible. A good book on history is a good book of stories. The stories of Napoleon, Churchill, Capone, many French Kings named Louis, and a few Czars and Kaisers thrown into the mix make for great reading. 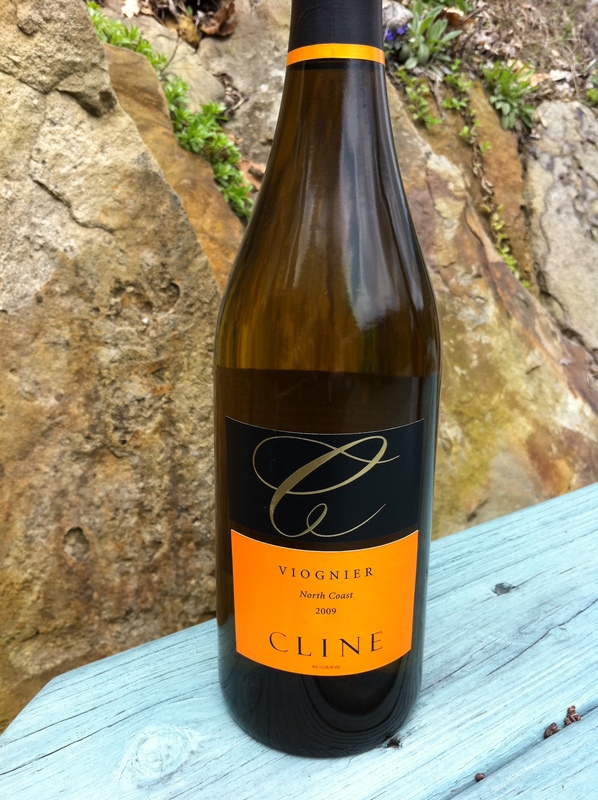 Also, if you are interested in drinking great Champagne then the stories of Roederer, Clicquot, and Chandon could be savoured over a flute of “party juice”. Best of all, I got it at the library, returned it on time, and saved my money. Probably should celebrate that with a bottle of the real stuff. 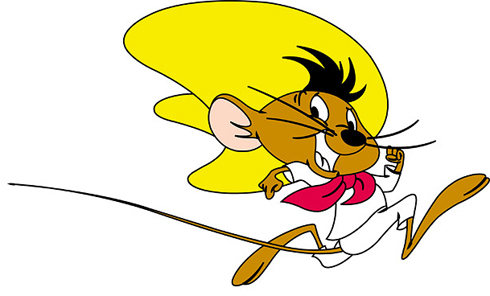 Bring it on Louis Bernard – I challenge you to a throwdown. I’ve got a Weinfrischhalter Geschenskset and I’m not afraid to use it. Truth be known I look forward to it. With my “WG” I can open two bottles and compare. I have a limited taste memory and I’m hoping that this “training” will improve it. 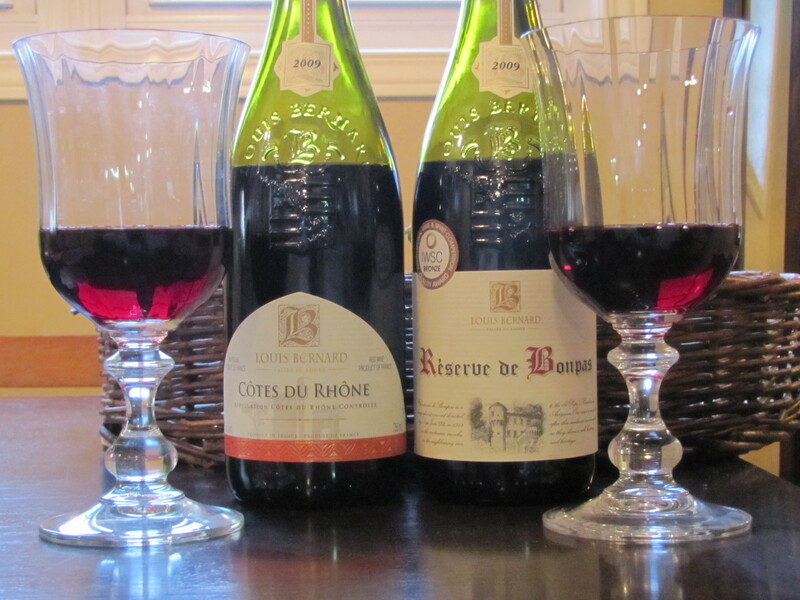 Louis Bernard makes both the Côtes du Rhône at $12.95 and the Réserve de Bonpas at $13.95. 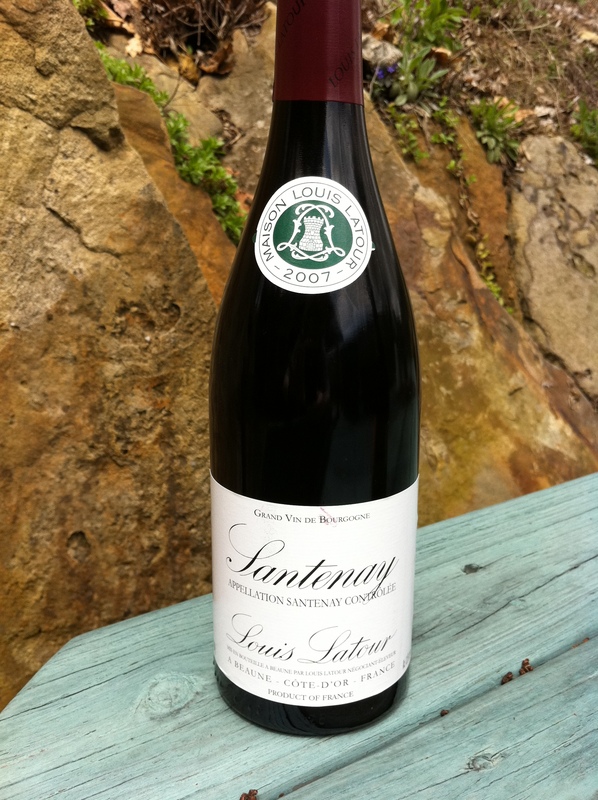 Both wines are the GSM blend – Grenache, Syrah and Mourvèdre – and I decided to open them last night. So what do you get for a dollar more? A way cool label that looks like a $45 wine label and more dried herbs in the taste. The Réserve de Bonpas was also darker and more refined but the Côtes du Rhône had the earthiness that I like in a Rhône wine. I liked them both but my “WG” made comparing them more cost-effective. Hooray that my Weinfrischhalter Geschenskset saved both my bottles for another day and helped me in my taste training plan. My March Madness bracket was fixed – I admit it. I almost always prefer a nice solid Rioja to anything. 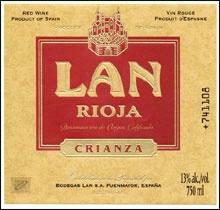 The two that I like to keep in my house are from Bodegas LAN and MUGA. 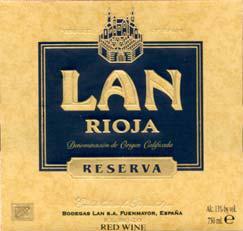 I’m a sucker for good marketing – on good wines – and I like LAN’s marketing. These labels are usually available in my local wine store. Go Rioja – Go Butler.